Grandeur Park Residences: 1mins to MRT! Last Few 4BR & 5BR available fr $14xxpsf. 2. Within an established mature residential estate. 3. 1 min walk to Tanah Merah MRT station. 4. Direct train ride to CBD and Marina Bay. 5. Numerous shopping malls and amenities in close proximity. 6. Good mixes of unit types. 8. Developed by reputable developer CEL Residential Development. 9. Close proximity educational institutions and business hub. 10. Good investment for rental yield and capital appreciation due to upcoming industrial and commercial. 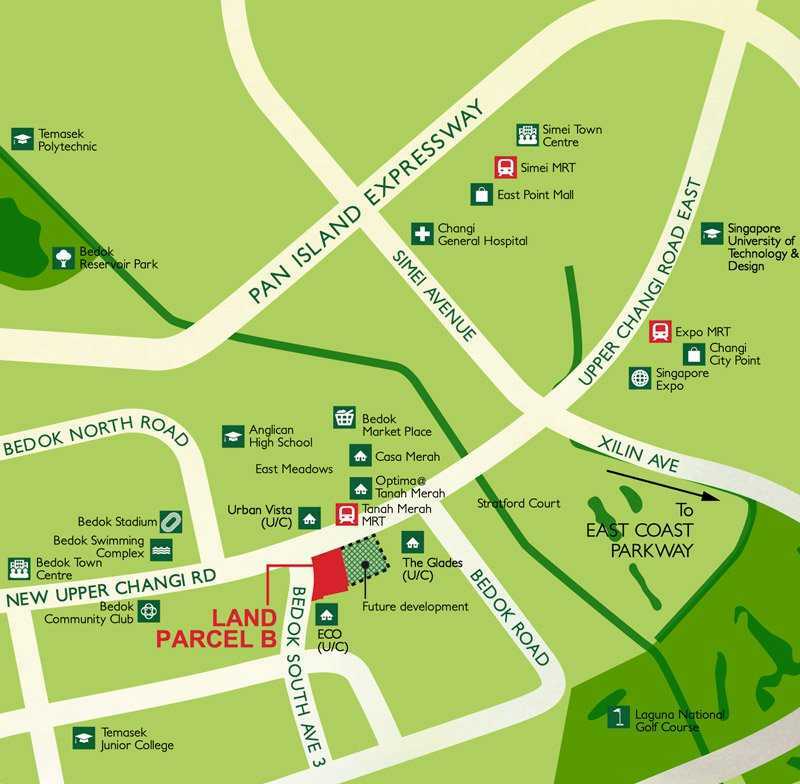 developments in Pasir Ris Wafer Fab Park, Changi Business Park, Loyang Industrial Park and Changi Airport. 11. Job opportunities with the opening of Terminal 4 in Changi Airport and Project Jewel. 12. Proximity to outdoor recreation facilities. ​ Airport and to Tampines Regional Centre. Future residents in Grandeur Park Residences will benefit from significant improvements to public transport and roads, with new MRT connections cutting journey times and road improvements to reduce traffic congestion and improve connectivity between and within towns. 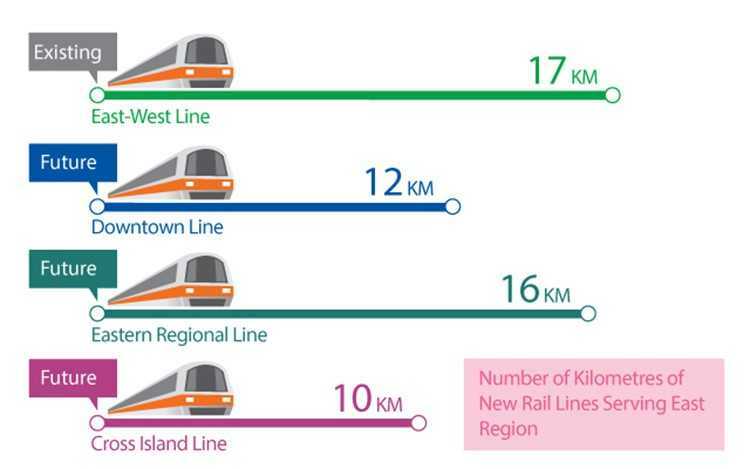 The existing East-West MRT line (green line) in the East Region will join 3 new MRT lines in the future, the Downtown Line (DTL), the Eastern Regional Line (ERL) and the Cross Island Line (CRL). The green line system will be upgraded in 2018 to allow 6 trains every 10 minutes instead of 5 currently. Total 90 Full Condo facilities with 50m Infinity Pool, 3G Gym, Kid’s Gym, Tennis Court; 2 Shops, Communal Facilities & Child Care Centre.